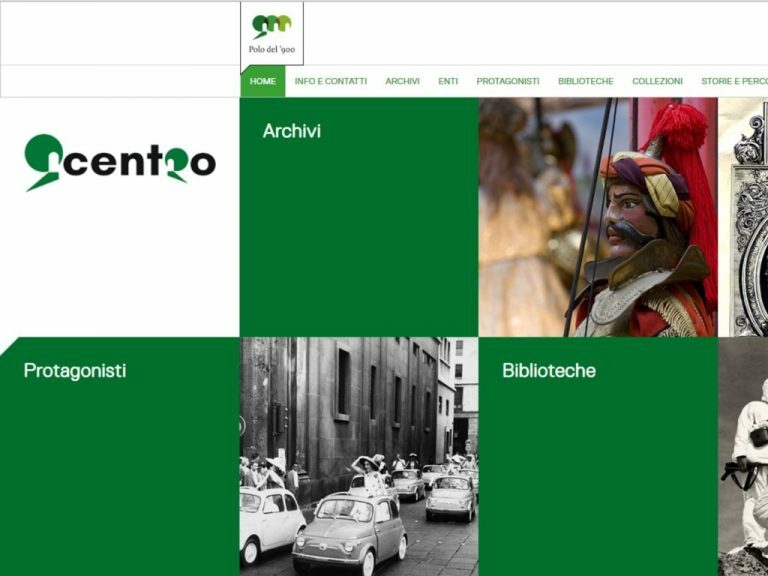 Smart Archive Search is a project created for the Polo del 900 in Turin, in which we create Artificial Intelligences which are able to crawl across text, image and video archives, to recognize similarities and create classifications. Smart Archive Search features intelligent software agents (the crawlers) which have different personalities. When they traverse databases and file systems, they express these personalities by dealing with data and information in different ways. 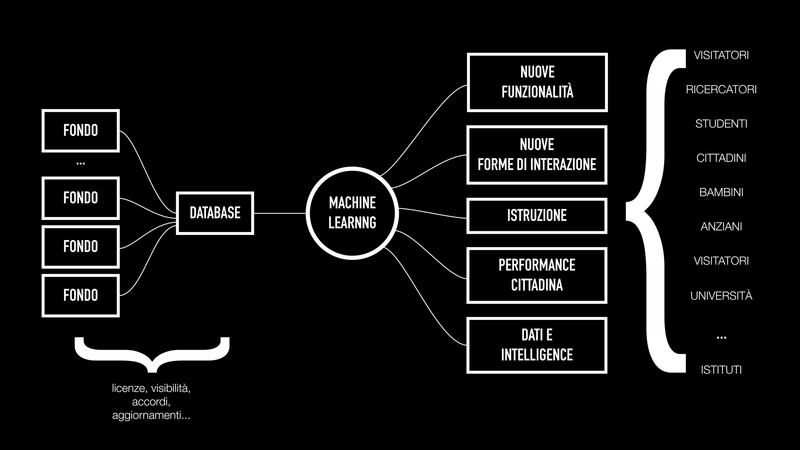 Some of them are very strict: they have their classifications and ontologies with them, and they use them to recognize what goes where in this prepared information architecture. Some are fully emergent, meaning that they don’t start with any information at all. 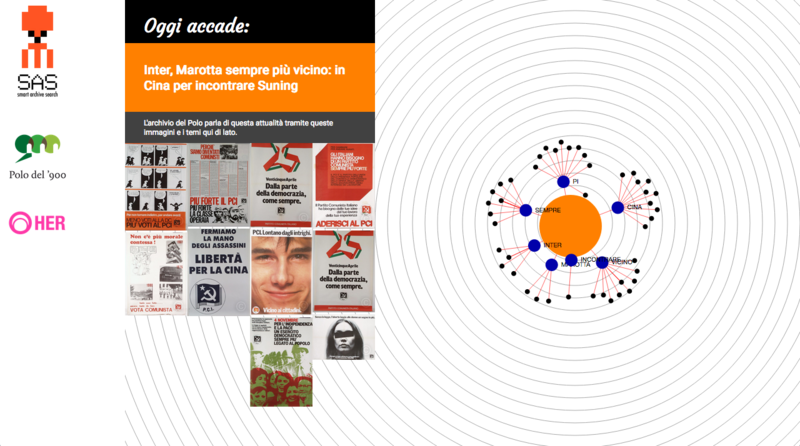 This allows them to focus on finding similarities (in text, shape, colour, meta data and more). Looking at these similarities, the resulting ontologies will be emergent. 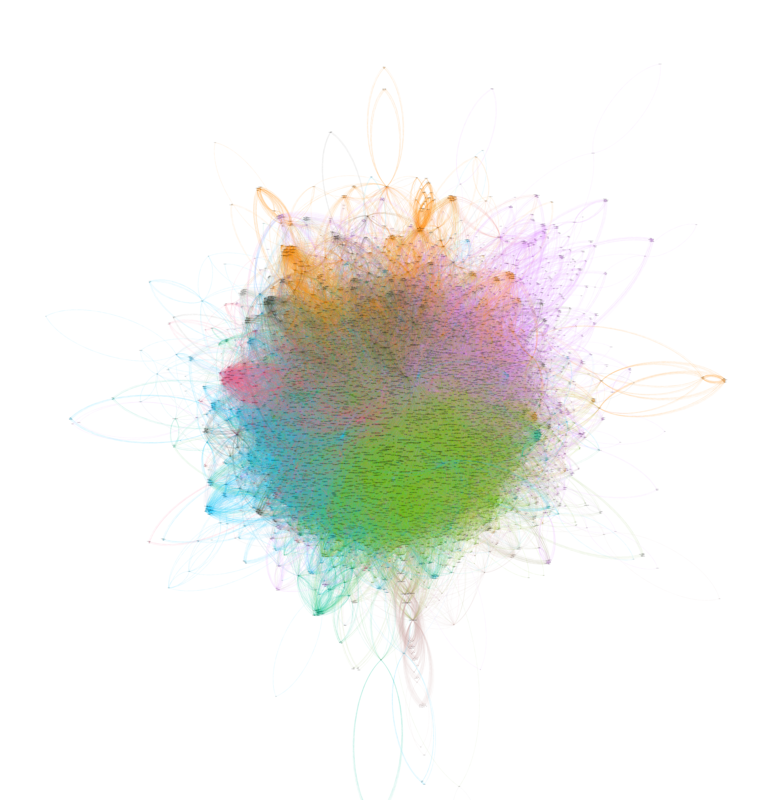 Others are somewhat extremists, as they add a little noise and randomity to the process. In this case, they take more chances, and are able to make hypotheses about new types of categorizations to make, things that go with each other. In Smart Archive Search, AI is used to enable new forms of participation, education and knowledge. AI leaves the laboratory. In SAS, children, elderly, students and other inhabitants of the city will participate to recurring events in which they will train the AI. They will teach the Artificial Intelligence to recognize faces, logos, shapes, buildings, famous characters, parts of the city and more. By doing this, they will learn about AI, Computer Vision, Natural Language Processing, Deep Learning and more. Why AI in the Archive? 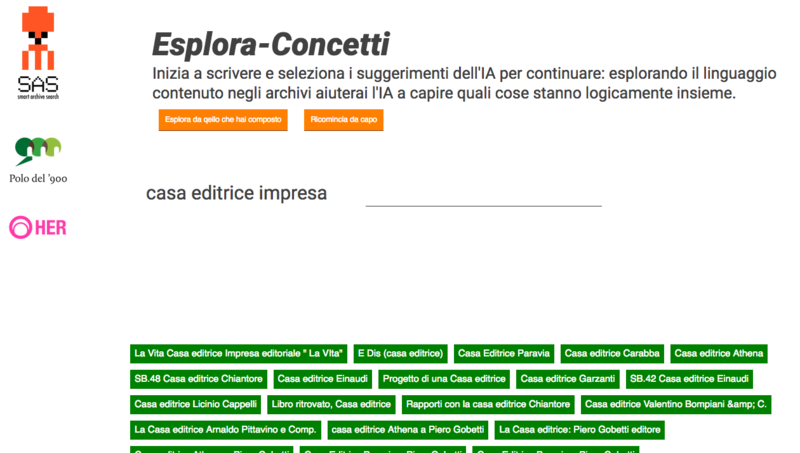 As of now, common ways to search for content and information in archives are through words, alphabetically, year, mentions, and according to predetermined paths which we can setup on the archive’s access interfaces. How can we use AI? 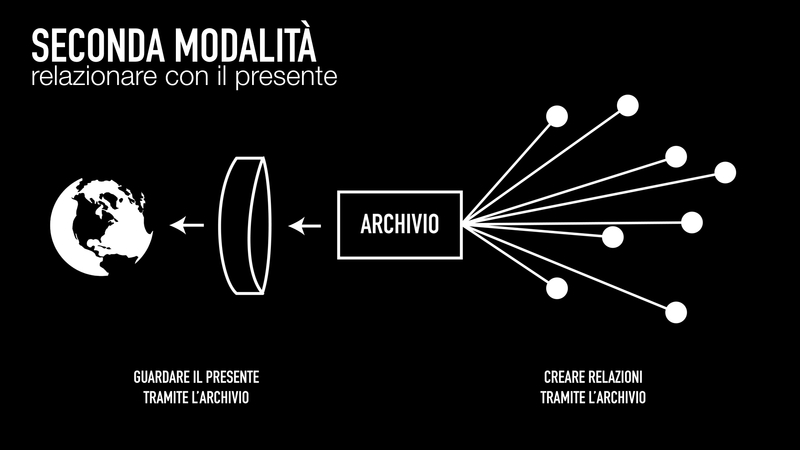 Second, we can use AI to relate the Archive with the present. What does the archive have to say about the present? What can we learn by searching for things that emerge from the news, current trends and topics, in the news? We can look at the present through the archive. We can use AI to reach and touch new audiences. 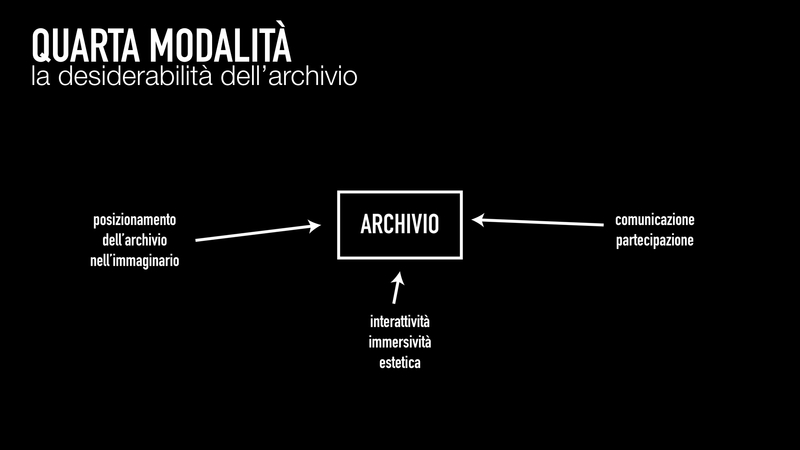 The archive can be transformed and accessed in different ways, which are engaging and appealing to different audiences. 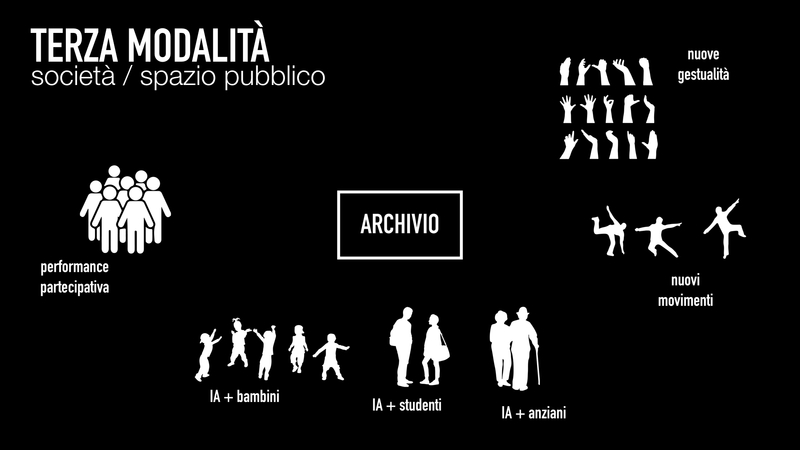 We can create new body movements, gestures, ways of participation and collaboration. 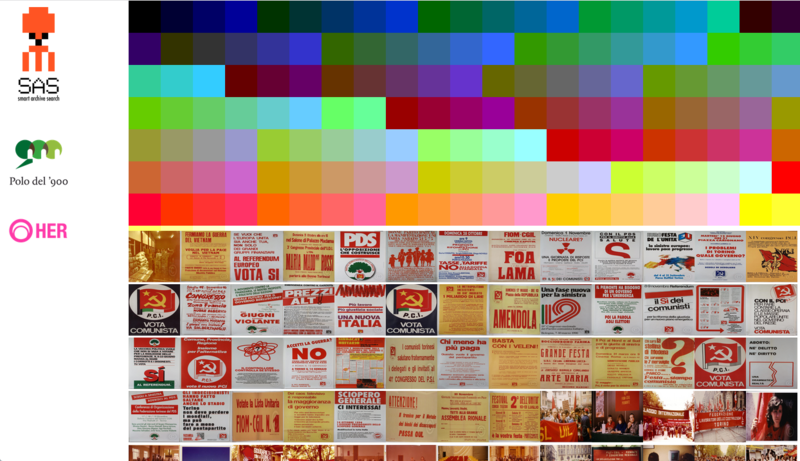 With AI we can include new forms of interactivity, immersivity and aesthetics in the archive, positioning the archive in people’s imagination in new ways and creating actions for participation and public performance. This image shows how it is done. 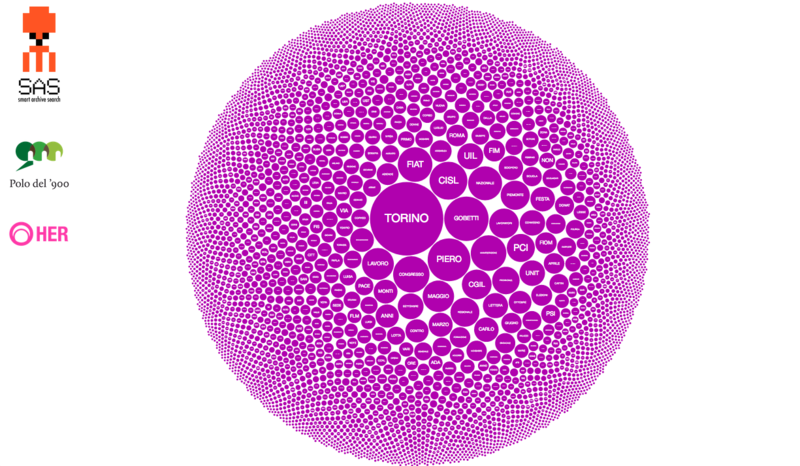 The archive’s databases are mapped to create a unique access point, respecting the different usage and access licenses, agreements between institutions etc. Then a series of AI crawlers are unleashed onto the databases to perform their classifications. 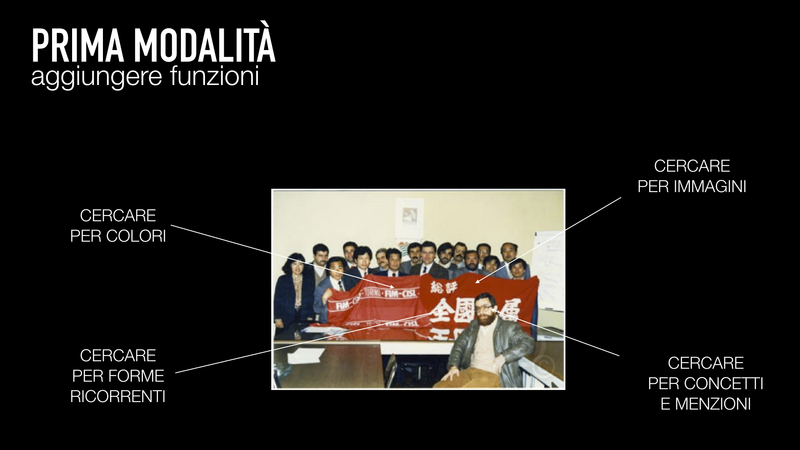 This enables the possibility to add new interfaces in which new functionalities for accessing the archives are made available, new form of natural interaction, new modalities for education and public performance, new generated data and knowledge. 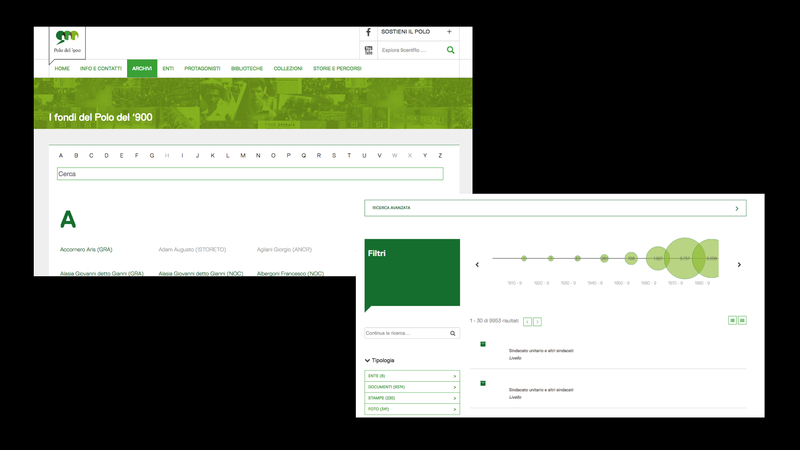 These interfaces and functionalities can be made available for visitors, researchers, students, citizens, children, elderly, institutions. 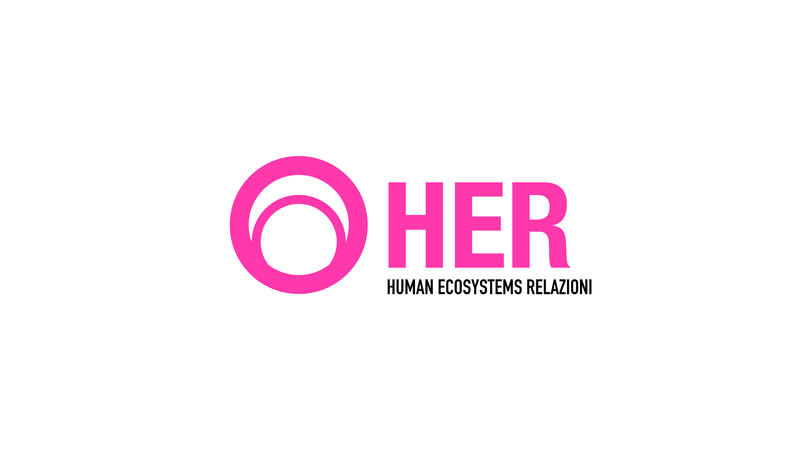 SAS, Smart Archive Search is a project by HER, Human Ecosystems Relazioni, made for the Polo del 900, in Turin. 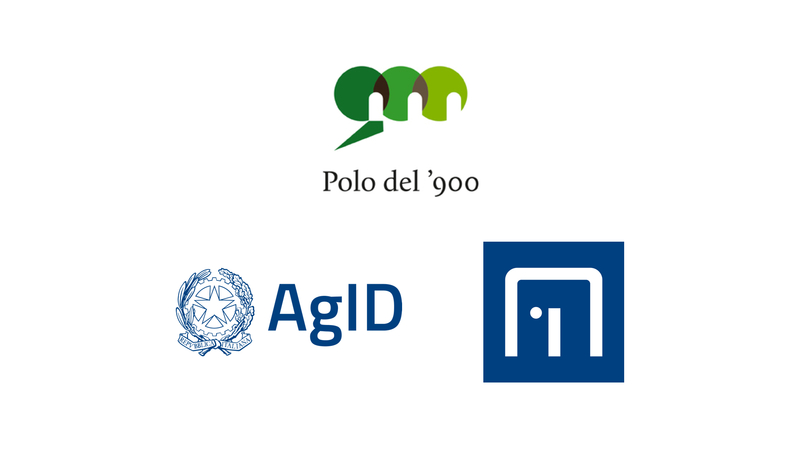 The project is deemed of particular interest by AgID, the Agenzia per l’Italia Digitale (the Italian Digital Agenda) of the Italian Governent (for this, the Polo del 900 has obtained a Convention with the institution), and of its Task Force for AI. 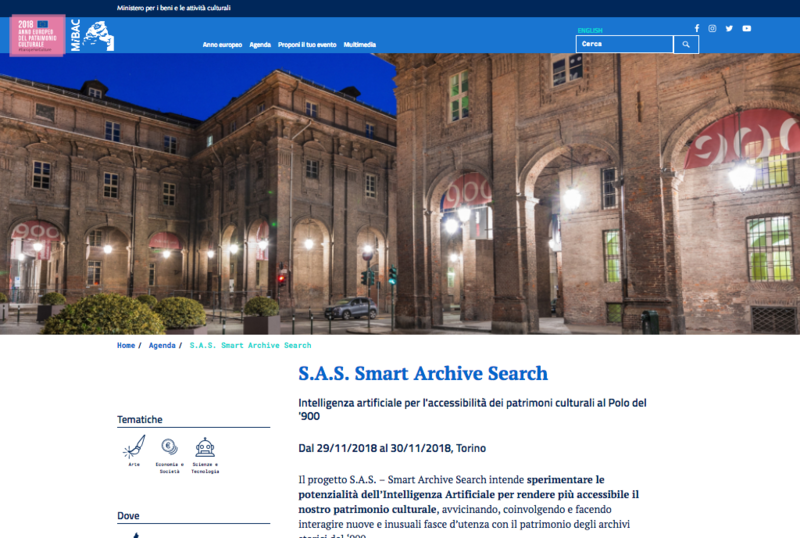 Smart Archive Search is part of the European Year of Cultural Heritage (2018).